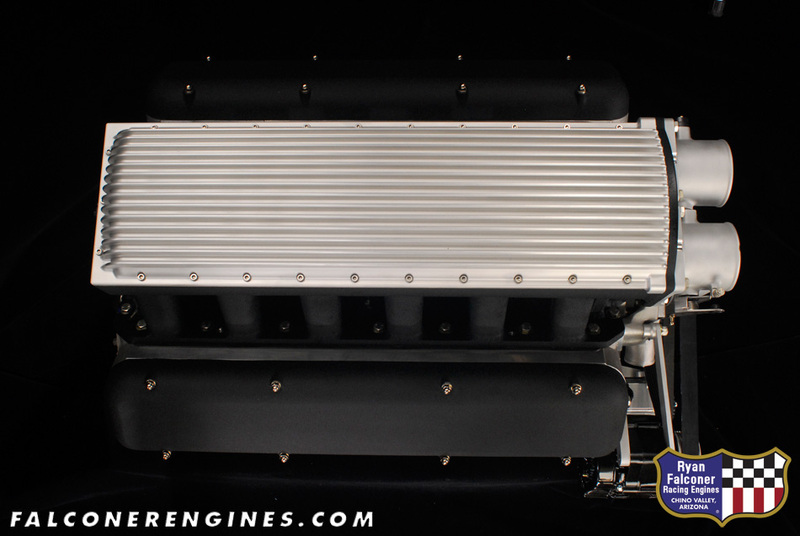 Eric Zausner had an aviation theme in mind for the car this Falconer V12 would power. 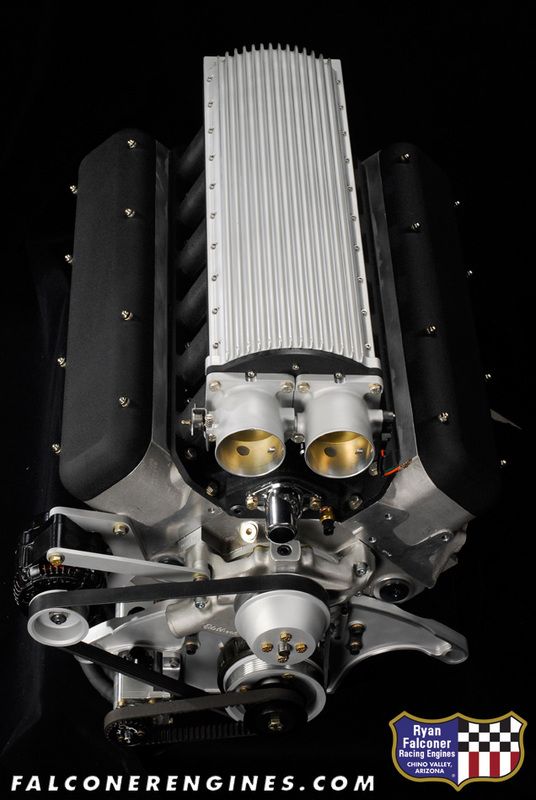 The car, built by Steve Moal, is a true work of art and function, a bold statement in bare metal, and the engine was the punctuating statement of the machine itself. 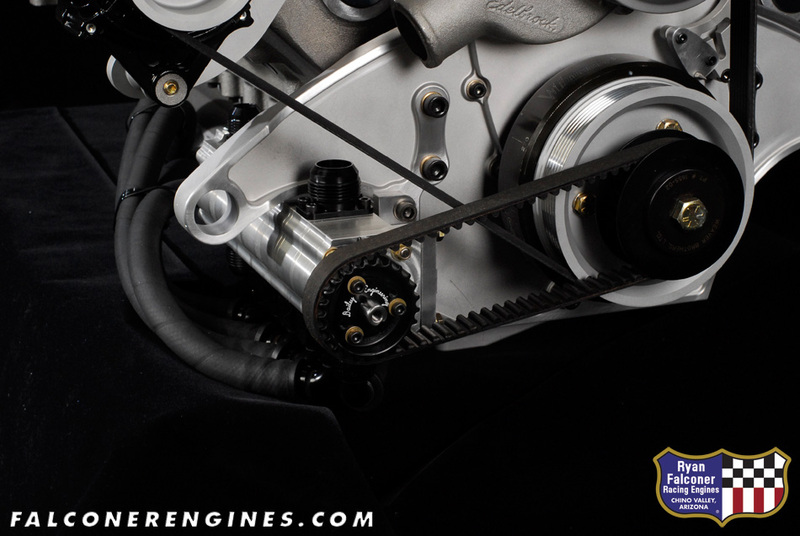 Click thumbnail images to view full-size photos. 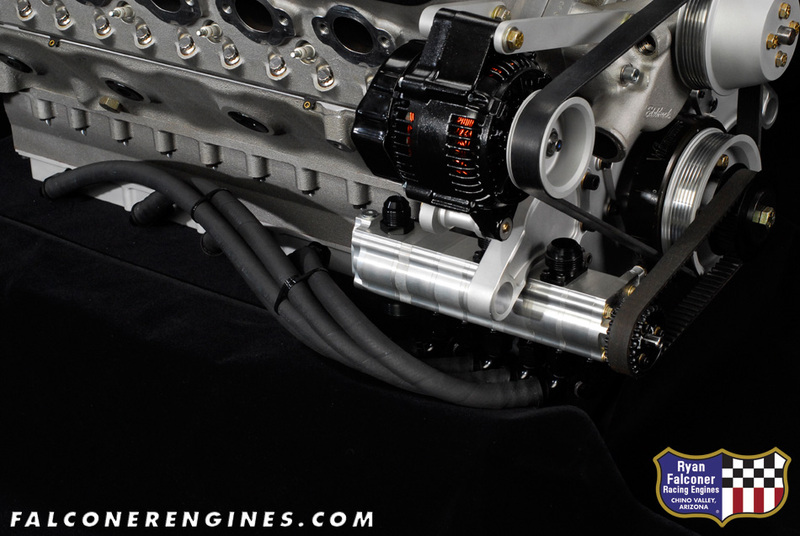 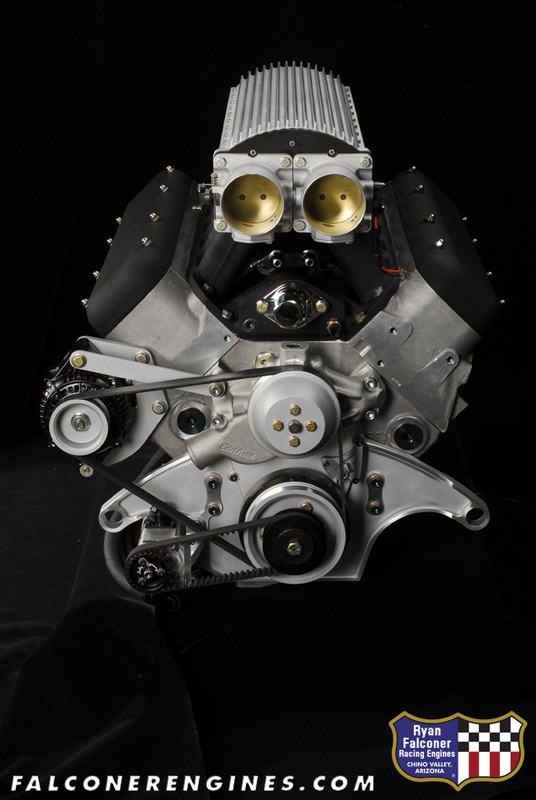 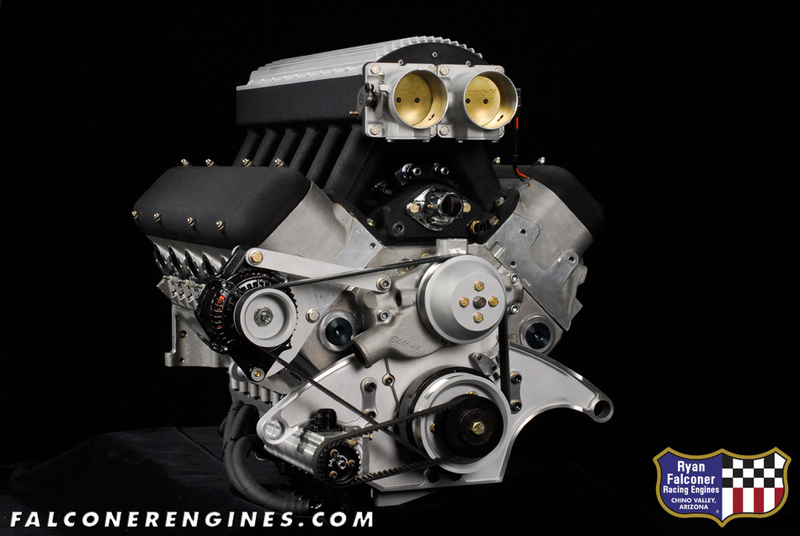 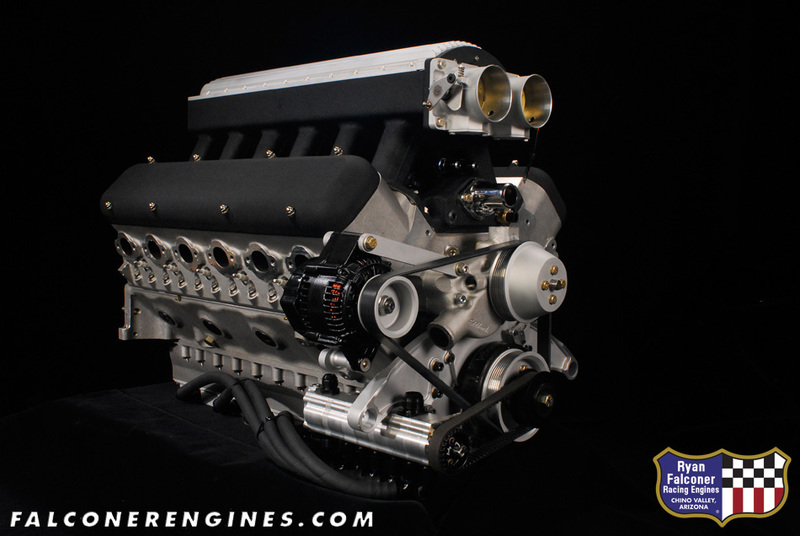 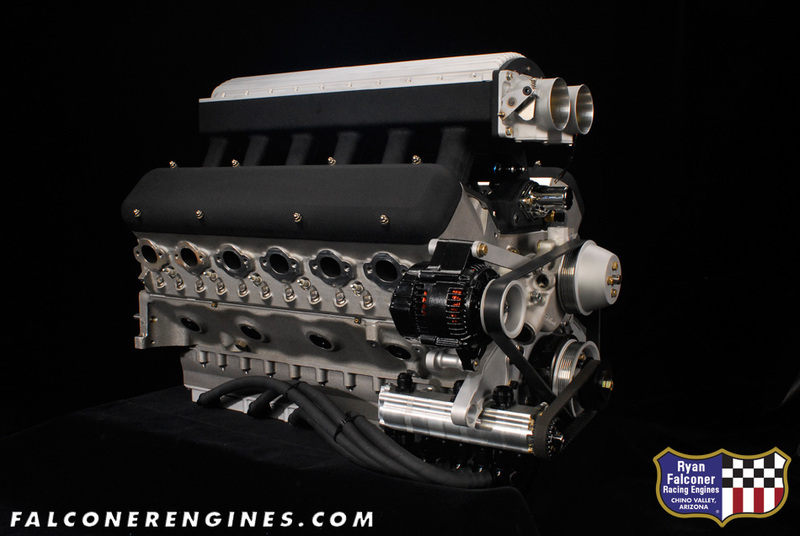 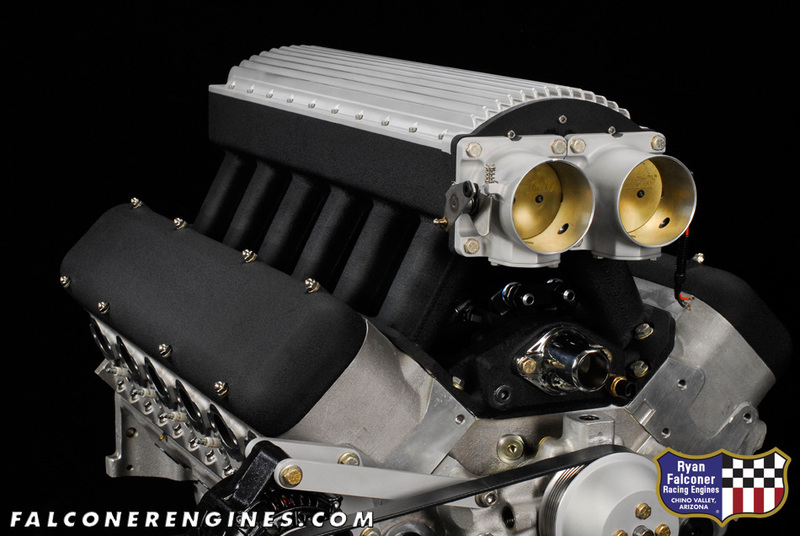 Ryan Falconer Racing Engines, Inc.